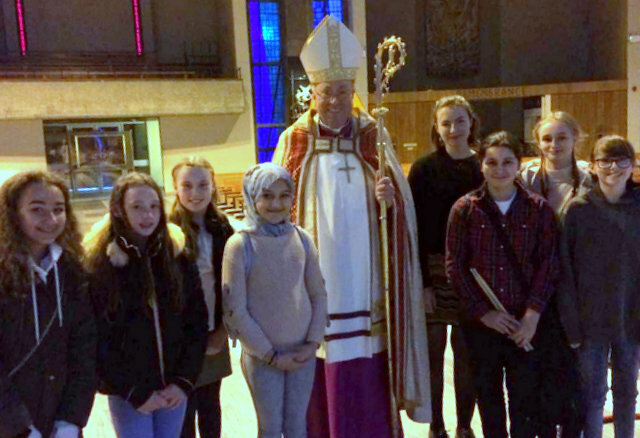 Sunday, 3rd February, 2019 was an historic day in the Archdiocese of Liverpool. Archbishop Malcolm led a service inaugurating the next stage on the journey towards Synod 2020 – a gathering of lay people, religious and clergy which will make and vote on proposals for the future of the Church. 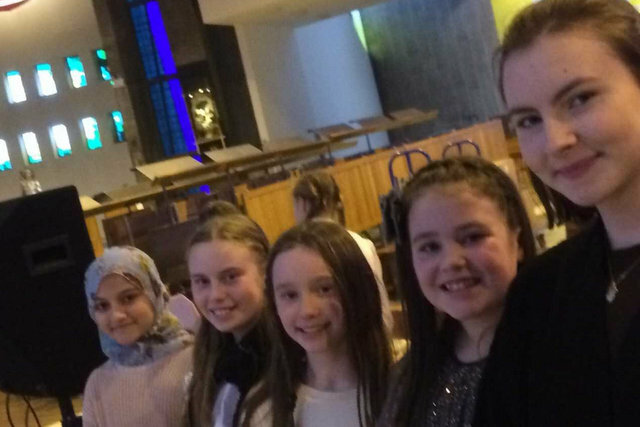 An estimated 1800 people gathered in the magnificent Cathedral of Christ the King for a wonderful service and Overwhelm, St. Julie’s Music Ministry Team, were there to lead this huge congregation in prayerful song. The Overwhelm team were fantastic, overcoming any nervousness at playing in such a huge space in front of so many people, in ministering through music. 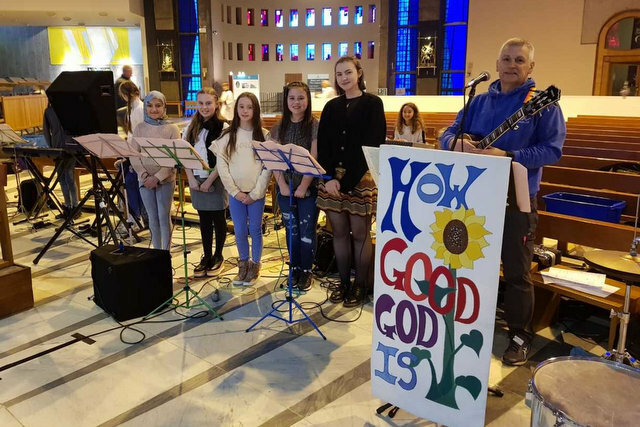 From the exuberant City of God to the prayerful Lord in your Mercy (in which Summer, Lexi, Freya and Rinad sang solos) the team excelled, with Bridie, our Head Girl, leading very much from the front. 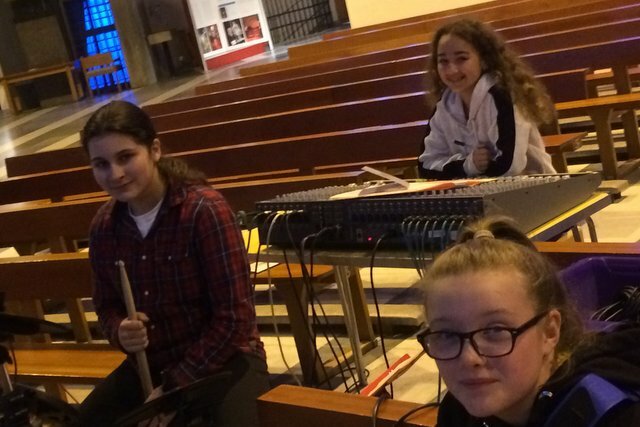 The Y8 musicians – Kelsey, Kim, April and Amelia – provided rounded and varied accompaniment and Tilly mixed the sound brilliantly in the most difficult of spaces acoustically so all could be heard. 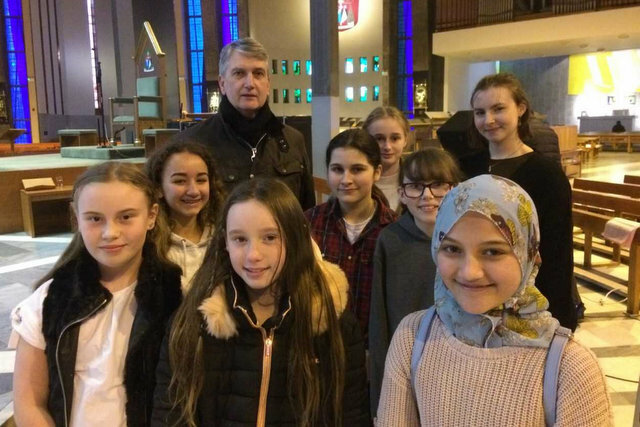 One of the highlights of the service was a moving drama piece about Elijah by the students of St. Bede’s Catholic High School, Ormskirk and the lighting of 1800 candles was especially memorable. The service culminated in a joyful rendition of the Synod Hymn – Together on the Road with the Lord. At the end of the service, Archbishop Malcolm publically thanked Overwhelm from the sanctuary and came over after everything had finished to add personal thanks. So, well done to everyone involved! Watch out for how you can have your say in Synod 2020 both in church and school.